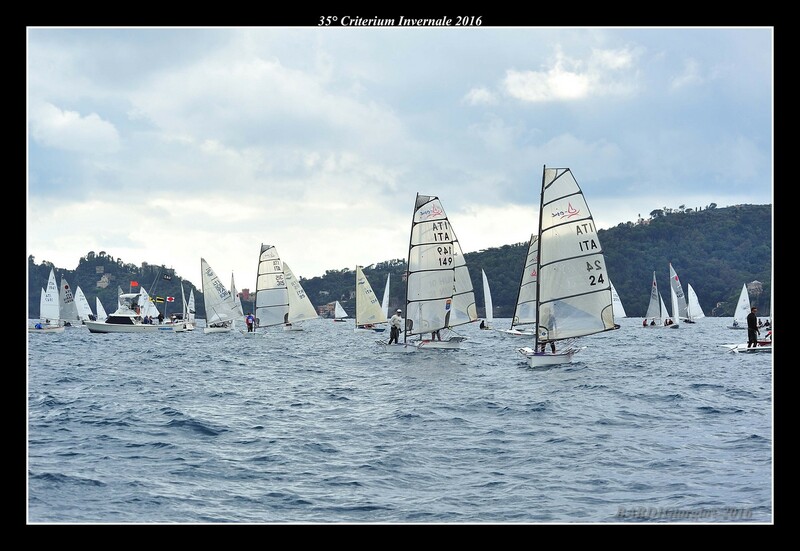 Santa Margherita Ligure: 19-20 September 2015. 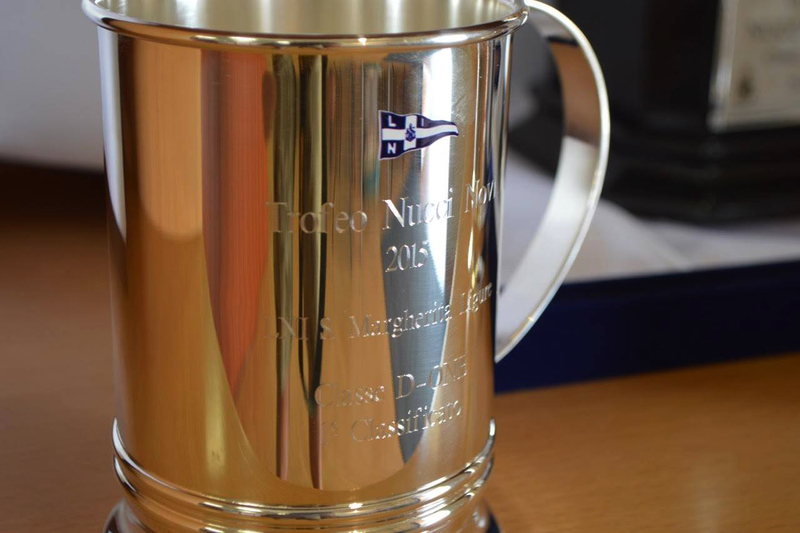 It took place in the enchanting setting of Santa Margherita and the entire Gulf of Tigullio Nucci Novi Trophy 2015, from this year's competition for the class D-One. Riva del Garda, 4-6 September 2015. 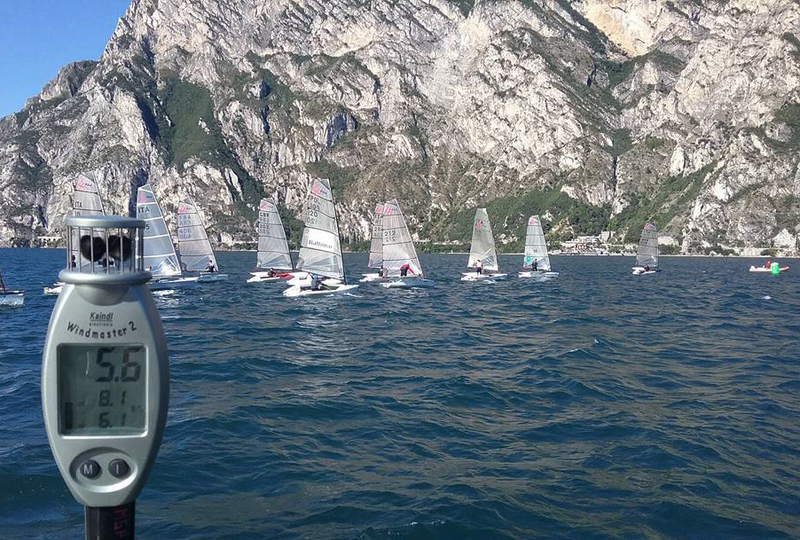 It ended last weekend the European Championship class "D-One", valid for the Italian crews as Italian Championship, organized by Fraglia Vela Riva del Garda. 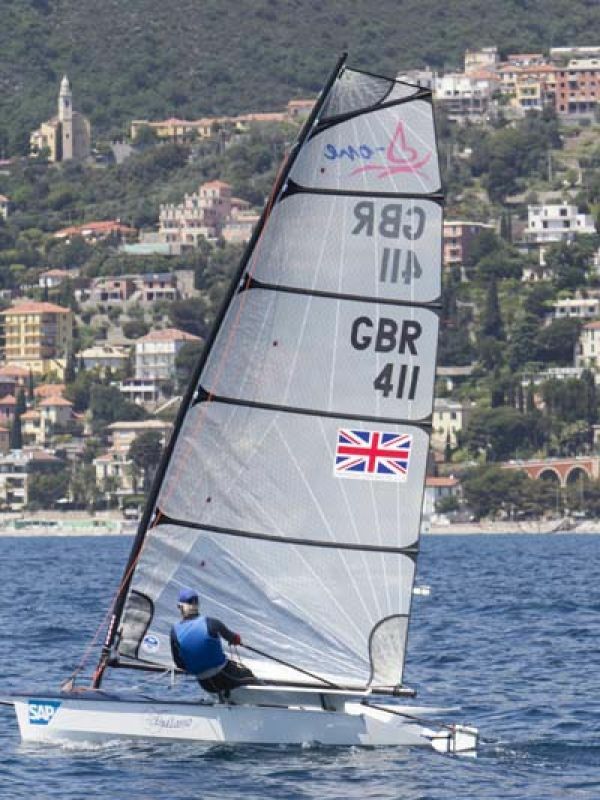 The ITA D-One fleet made visitors from GBR and HUN very welcome indeed to beautiful Alassio in mid-May. Full report to follow, but congratulations to Mario Rabbo (ITA 135) on a dominant performance and championship win. 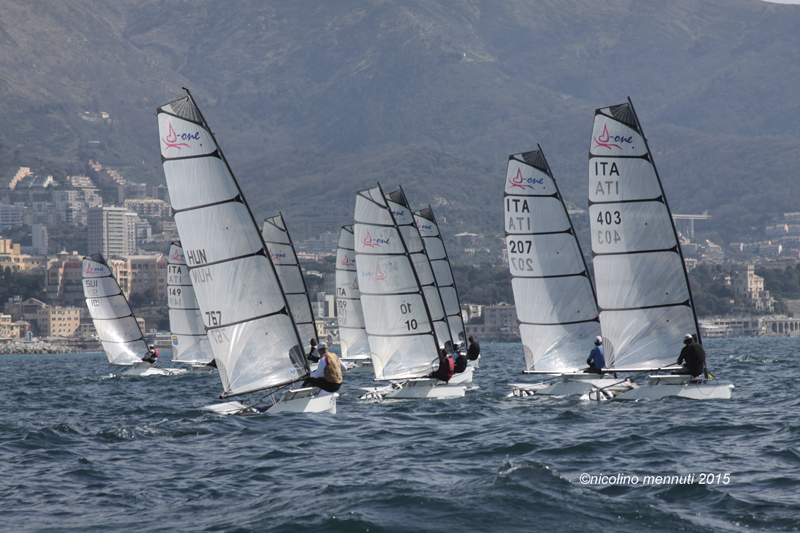 Second place was Tamas Szamody (HUN 10), third Alesssandro Novi (ITA 101) and fourth Giles Chipperfield (GBR411). 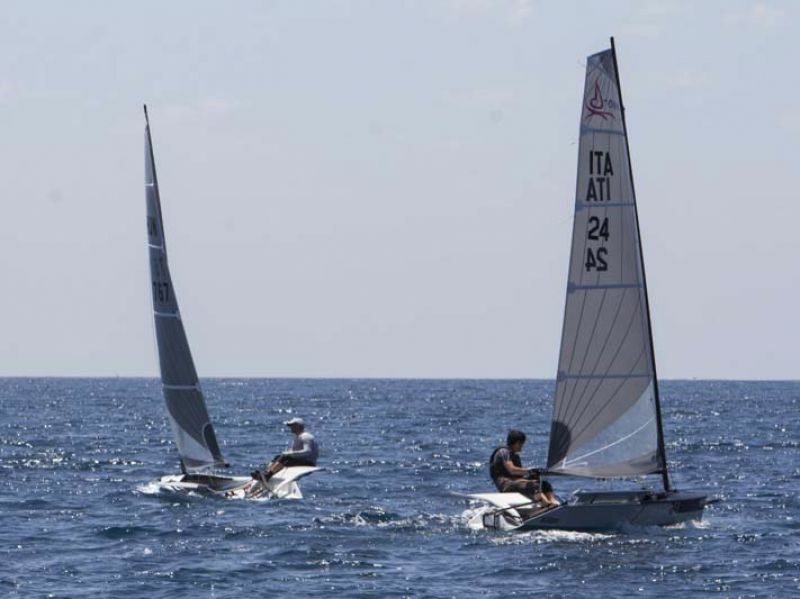 Alassio lived up to all its reputations: practice day was gloriously sunny with 25kts from the South West and huge rolling waves. 16.0kts achieved on the D-One GPS! Then we had rain and 5kts from the North East, followed by a day of overcast light Easterlies. But then we finished with the most perfect of all sailing days : baking sun, force 3, tight racing. Sailing simply does not get better than this day. Many thanks to an excellent race team from CNAM Alassio and to all our friends in the class who made the journey. We will all be back. Il giorno di apertura della Gold Cup si è presentato con condizioni impegnative,i concorrenti provenienti da 9 nazioni si sono svegliati nella splendida cornice della baia di Alassio con un bel sole e una brezza che è durata tutto il giorno. 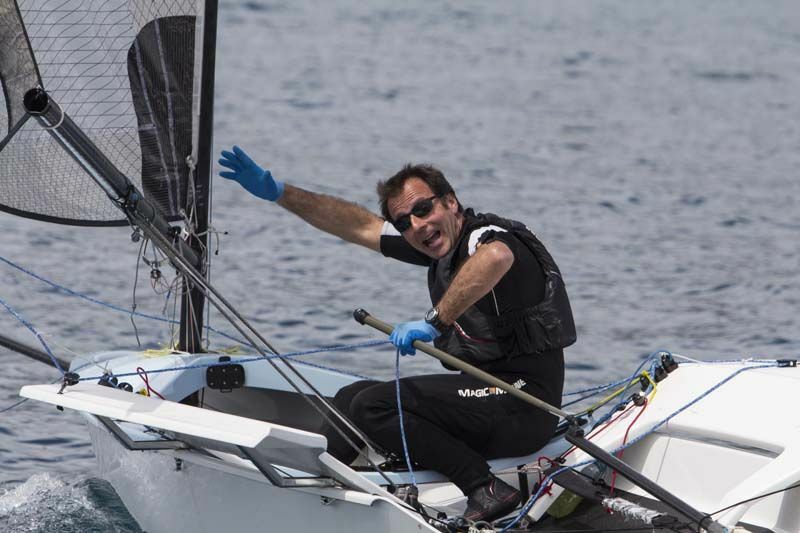 Durante la giornata c'è stata grande alternanaza nelle parti alte della flotta, con Nick Craig alla fine in testa seguito dal ceco Peter Fiala a 4 punti e Uberto Crivelli Visconti, neo campione italiano 49er.